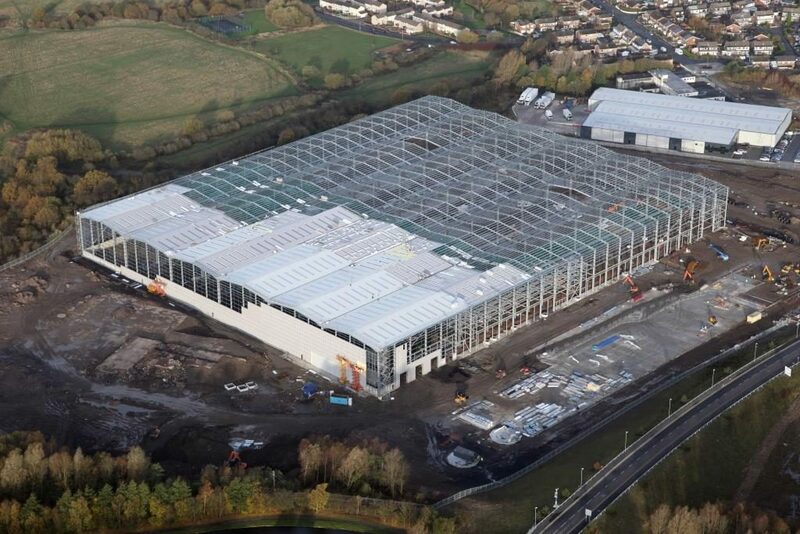 The contractor delivering the new 543,620 sq ft Exertis national distribution centre at Burnley Bridge Business Park has now turned its attention to cladding the building after completing the steel framework. After commencing the project in July, Bowmer & Kirkland is aiming to have the building watertight before Christmas 2015. James Chapman, managing director of Eshton, said: “Whilst the weather has proved to be a challenge, particularly of late, the project is still on track for completion in May 2016.